Added the below entry and picture to the Trombone History Timeline (18th century) and to an old blog post titled Perching on the Pipes: Trombone & Organ Images. What a beautiful instrument—and two trombones to top it off! 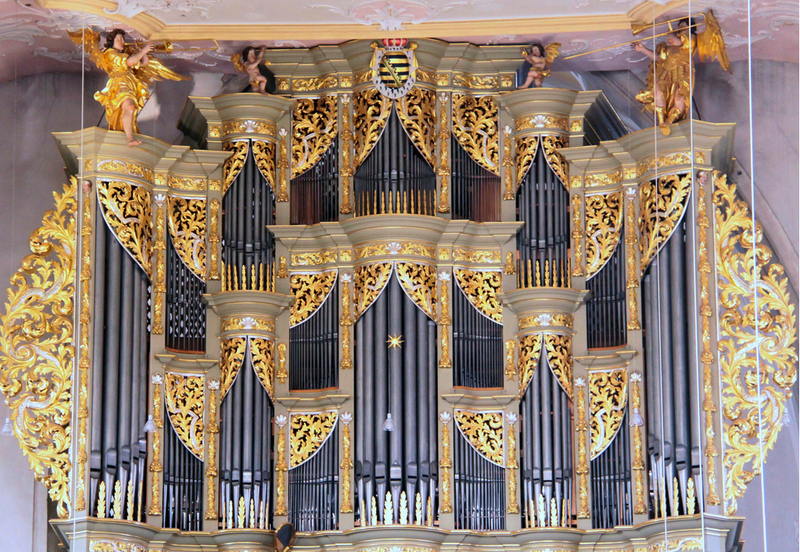 1740—Coburg, Germany: A Schuke organ is installed in St. Moriz Church. 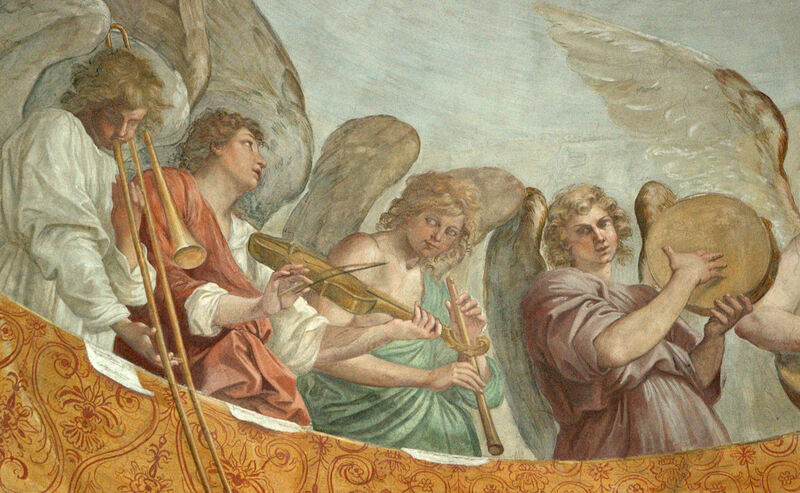 Atop the pipes are two angel-trombonists (see below image; public domain).